Maximum Benefits. Minimal footprint. Genuine performance. When you need a part for your Mercedes-Benz, ask your dealer about Mercedes-Benz Genuine Remanufactured Parts. They offer all the quality you expect with considerable benefits to you and considerable benefits to our environment. What does “remanufactured” mean for Mercedes-Benz? Remanufacturing of automotive parts begins with an inoperative, failed or worn out part called a “core.” This core is disassembled so that the subsystems and components can be cleaned, tested, repaired/reworked or replaced. The components are then brought back to “like new” specification, reassembled and tested to a quality level so high that every Genuine Remanufactured Part is backed by the very same warranty as new parts. The differences in terms of how a part is brought back to working condition are often subtle, but important as they frequently carry different or shorter warranties. Mercedes-Benz Genuine Remanufactured Parts set the standards for quality and reliability – standards that maintain the value and performance of the vehicle – something that other aftermarket parts may not be able to match. All Mercedes-Benz Genuine Remanufactured Parts supplied by Mercedes-Benz dealerships are kept in stock and are available either on demand or short notice. Our remanufactured parts include powertrain, mechanical parts, and electronics – all parts available through the dealer network and designed specifically for the vehicle. Our remanufactured parts are less expensive than our new parts, and sustain a remanufacturing cycle in the long term. Returning core parts to your dealership saves on the cost of disposal, and can lower the costs of driver ownership. Our remanufactured parts offer the same warranty coverage that applies to new Genuine Mercedes-Benz Parts. Note: Engine Limited Warranty Coverage is 48 months or 50,000 miles (36 months or 36,000 miles for Sprinter vehicles) and transmissions are 24 months or 24,000 miles, whichever comes first. Using our remanufactured parts can reduce environmental impact by reusing materials that require less energy for production. Total typical benefits can range up to 80 percent in material consumption and 90 percent in energy costs. The warranty period starts from the date of purchase of the part or accessory (passenger car or light truck, as applicable). The dealer must be provided with the customer’s copy of the original sales receipt on counter sales or the customer’s copy of the repair order on dealer installations to validate the date of purchase. Warranty repair will be made at no charge for parts and labor when performed at an authorized Mercedes-Benz Center (passenger car or light truck, as applicable). Defects. Mercedes-Benz USA, LLC (MBUSA) warrants to the original purchaser and each subsequent owner of a Genuine Mercedes-Benz Part, equipment, or factory approved accessory – except tires – to be free from defects in material and workmanship. Parts must be installed on a Mercedes-Benz vehicle operated in the USA under normal use and service. Transmissions. The Limited Warranty covers 24 months or 24,000 miles, whichever comes first, from date of purchase. Engines and long blocks. The Limited Warranty covers 48 months or 50,000 miles, whichever comes first, from date of installation. *Warranty information as of April 2013. This information is subject to change. Please always refer to Warranty Policies and Procedure Manuals for more up-to-date and specific parts coverage. **Core charge not included for Remanufactured. Prices are subject to change. 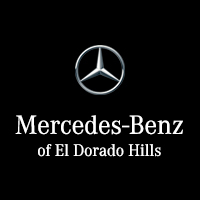 Check with Mercedes-Benz of El Dorado Hills for exact pricing.